Scarborough town was founded around 966AD as Skardaborg, by Thorgils Skarthi, a Viking raider. In the Middle Ages, Scarborough Fair was permitted in a royal charter as a six week trading festival which ran from August 15th until 29th September. The fair continued to be held for 500 years, into the 18th century and is commemorated in the song, Are you going to Scarborough Fair? Today, Scarborough is one of Yorkshire’s renaissance towns. Although on a much depleted scale, her fishing industry still survives and is a major contributor to the local economy. Tourism is another and visitors flock to the town to enjoy Scarborough’s temperate climate and its wide. 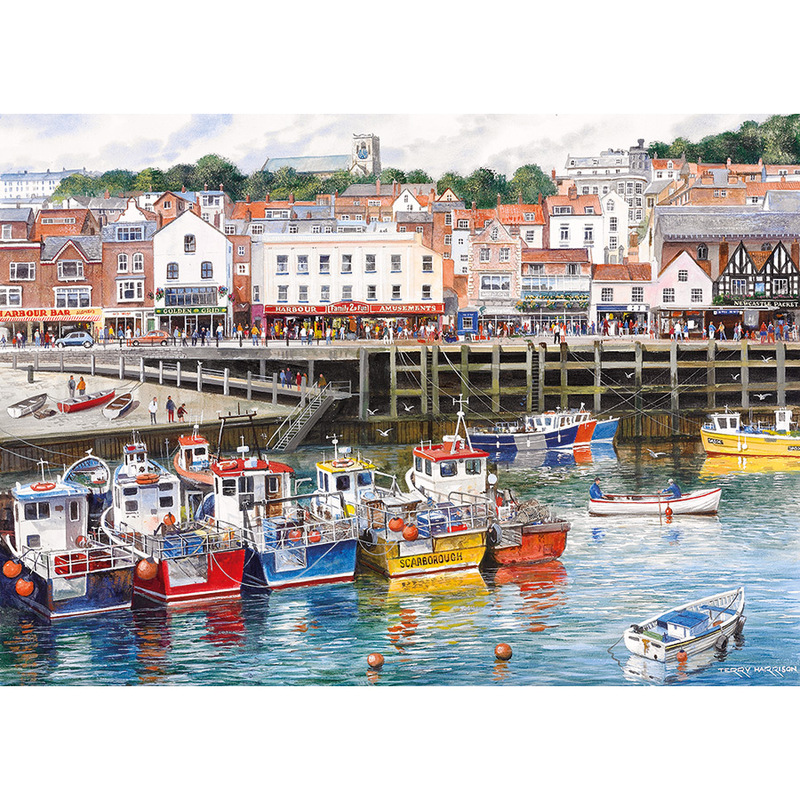 Terry Harrison is one of the most popular artists in the Gibsons range and is renowned for his beautiful harbour scene paintings. 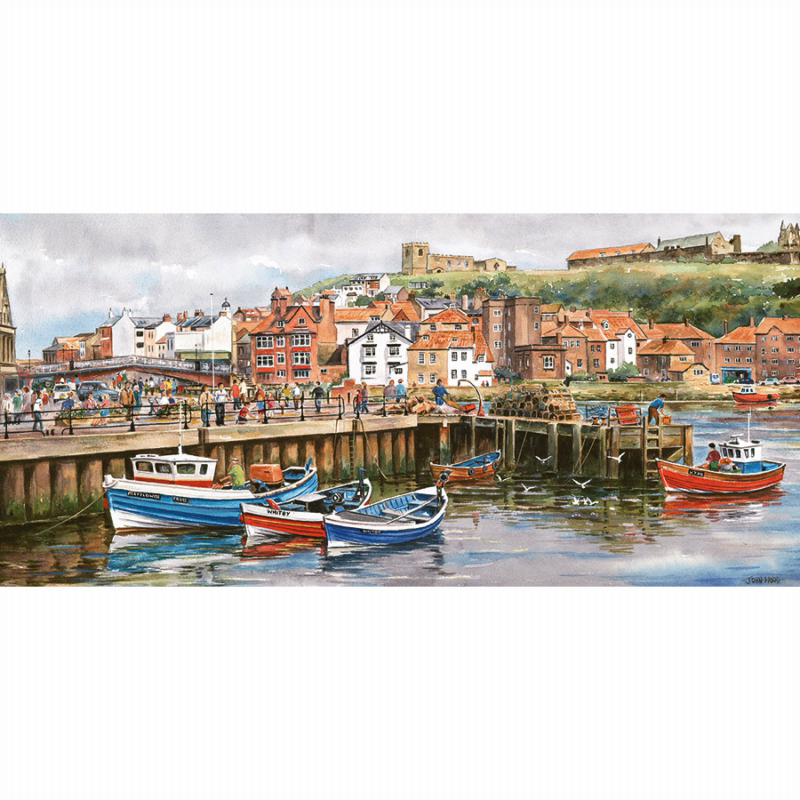 Scarborough is a 1000 piece puzzle that is made from 100% recycled card of the highest quality. Terry Harrison was born near Wendover and attended Farnham Art School before becoming a graphic artist in London. Later, he joined the Yellow Pages as an illustrator and then Thompson Directories in their Farnborough head office. During his spare time, Terry pursued his first love: landscape painting. By 1984 the demand for his original work was so great that he decided to paint full time and never looked back! 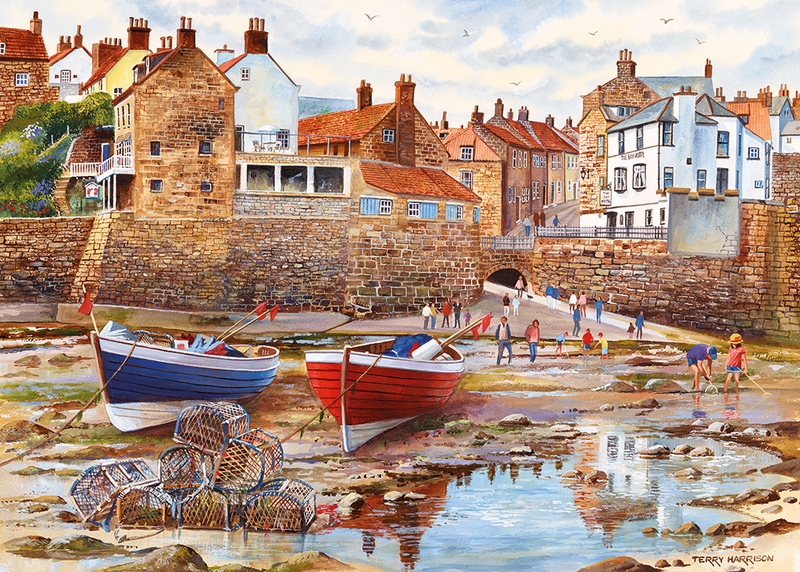 After just 12 short years Terry was awarded the Best Up and Coming Published Artist of The Year by the Fine Art Trade Guild, and five years later in 2001, Terry had his first book ‘Brush with Watercolour’ published; this sold over 140,000 copies.